On a recent trip to NYC, I read an article on Forest Bathing in the ‘American Way’ Magazine (which btw is well done mag). 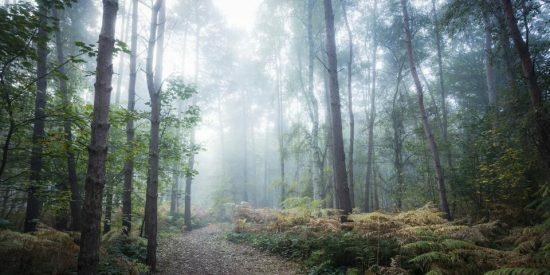 Forest Bathing is mindfulness meets nature. It’s a walk in the forest not for exercise but to experience the forest with new eyes. The Japanese have been practicing this since the 1980’s when their Forest Agency began promoting shinrin-yoku (taking in the forest atmosphere) as an activity whose benefits extend beyond exercise. Forest bathing, is now considered a health regimen. The phytoncides, antimicrobial oils emitted by trees, stimulate natural killer cells, thus bolstering your immune system. Many studies have shown that the stress hormone cortisol dropped significantly and blood pressure/pulse rates fell too. Twenty five percent of Japan’s population participates in forest bathing. Japan has designated 100 trails to this practice. Dr. Suzanne Bartlett Hackenmiller and Ob/Gyn said, “The beautiful thing about forest bathing is it kills a few different birds with one stone. We’re getting all the benefits of phytoncides and cancer-fighting properties, and the benefits of mood increased cognition, and then also the practice of mindfulness.” To understand forest bathing, one must also understand mindfulness, or focusing on the present moment which usually happens during meditation. I personally, try to practice this every day. Since I suffer from anxiety, staying in the present moment is key for me and forest bathing would be a great addition to my life. 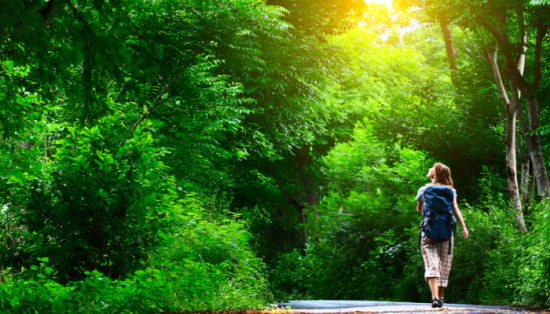 Walks in the forest are now being featured as part of many wellness activities in resorts around the country. 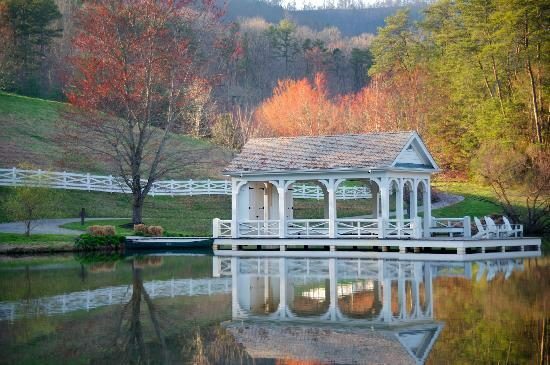 One resort in Tennessee, Blackberry Farm, which has an excellent reputation, incorporates forest bathing in their activities. Blackberry Farm seems like a dream to me and a must visit. The resort is Squirrel approved! Here are a few pics from Blackberry Farm…Must, need, want to go! This is their rustic gym? Wait, I need one of these for my house! I am suppose to go to Blackberry Farm in February and will write up a travel squirrel post on the Farm. I am pretty sure Farms are the new fives star hotels for 2017… you heard it here first! Find a forest near you and get walking!